Here is a set of communication vector. The vector illustration includes several communication devices and types that you can use for your design project. 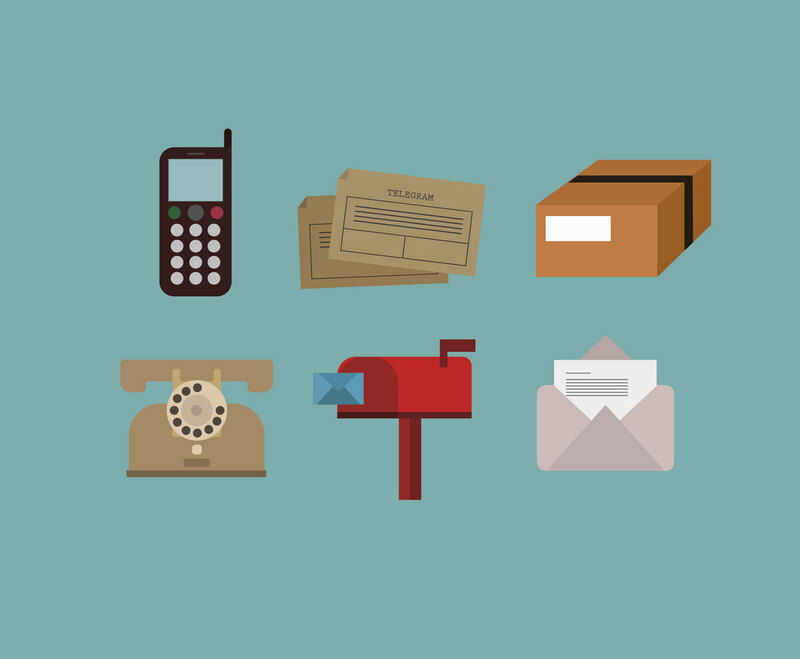 You can find a cellular phone, a telegram, post package, rotary dial phone, mailbox, a post mail or an air mail or a letter. It will be great to use them as design elements in any project of yours that is related to communication theme!